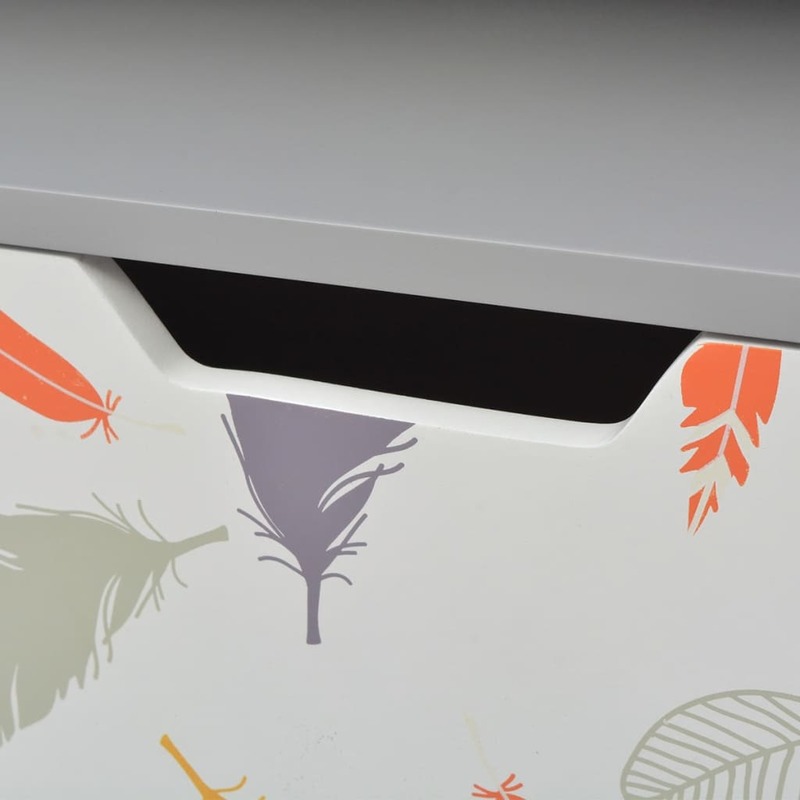 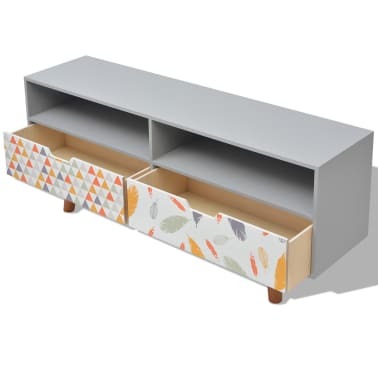 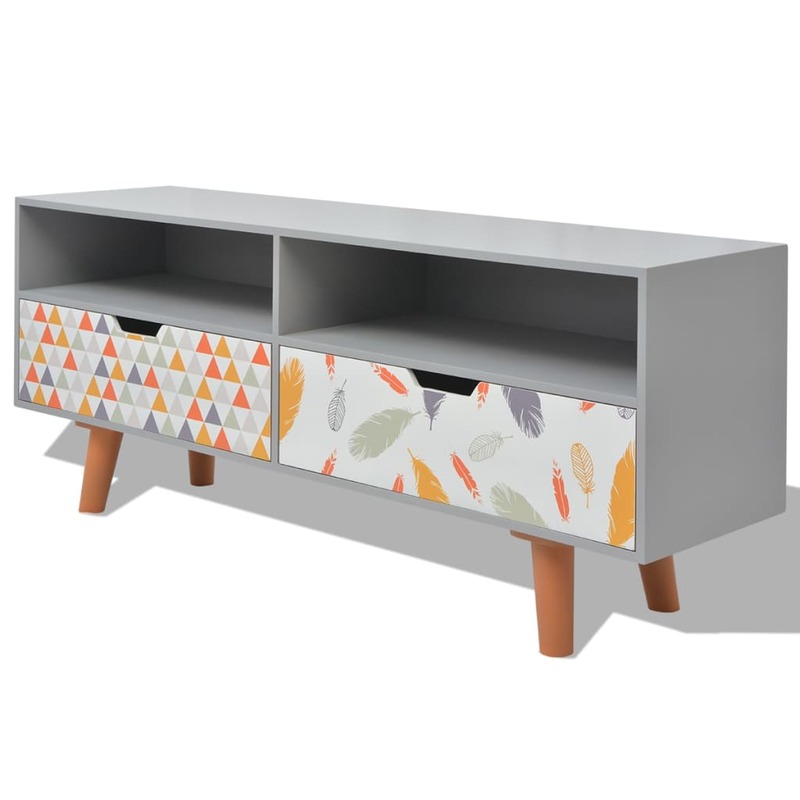 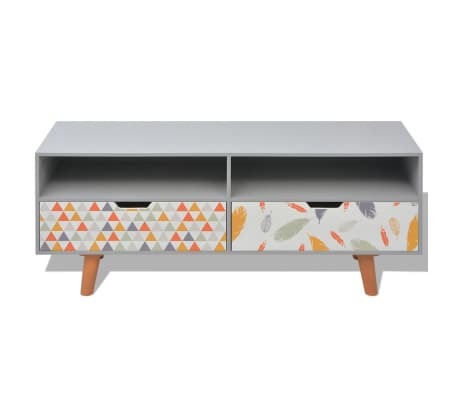 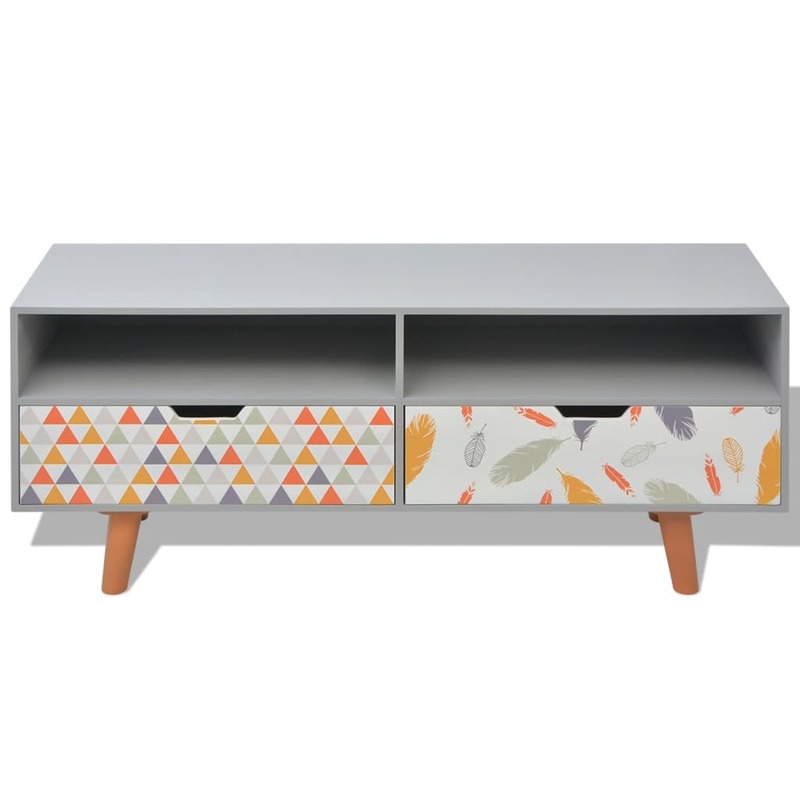 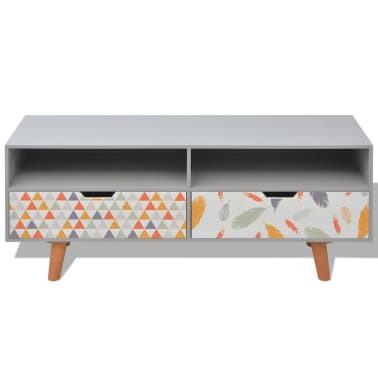 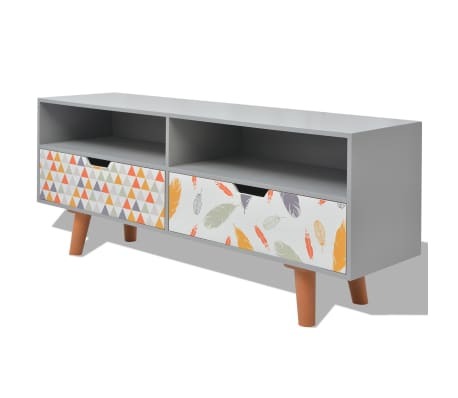 This TV cabinet with 2 drawers and 2 storage compartments has a Scandinavian design with decorative feather and triangle patterns on each drawer. 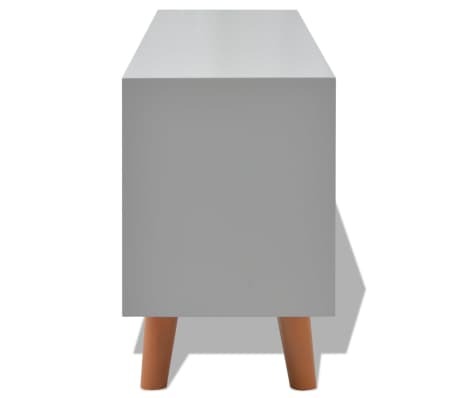 Its elegant design will make it a practical as well as highly decorative addition to your home. 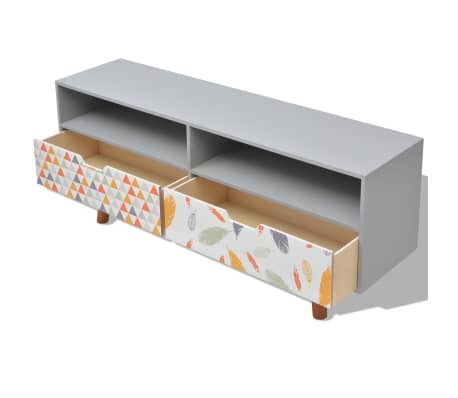 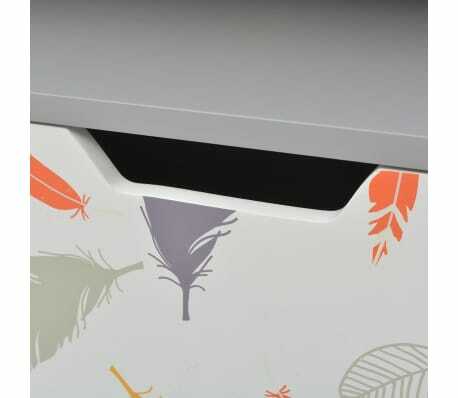 The large top is ideal for placing your TV, router, multimedia appliances or for displaying decorative objects, photo frames, or even potted plants, while the 2 drawers and 2 storage compartments provide ample space for keeping all kinds of smaller items like keys, notepads, pens, and other knick-knacks organized and within reach. 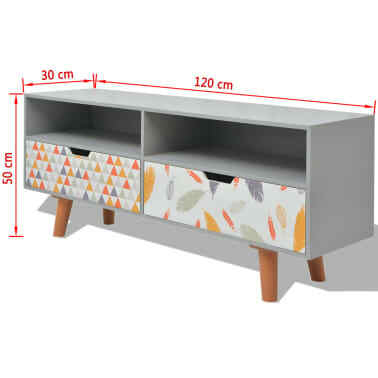 It can also be used as a sideboard, hi-fi cabinet, low board, sideboard, etc. 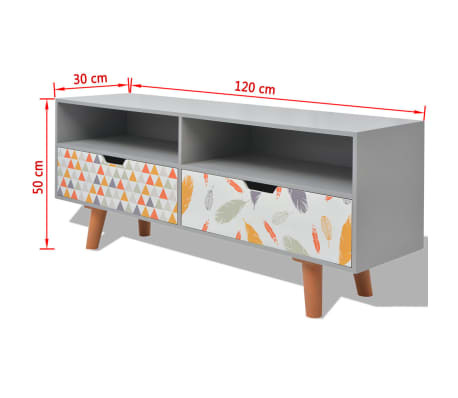 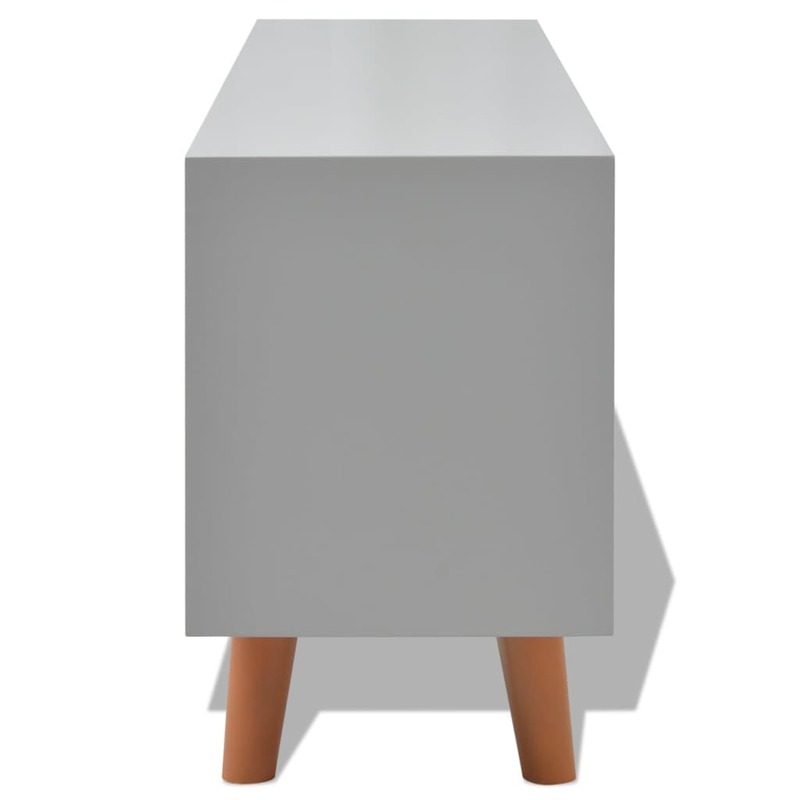 Thanks to the high-quality MDF material and the strong pinewood legs, this TV cabinet is very sturdy and durable.